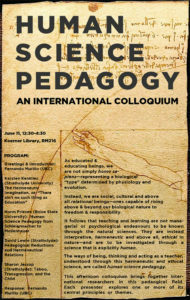 What is Human Science Pedagogy? As educated & educating beings, we are not simply homo sapiens—a biological “type” determined by physiology and evolution. We are instead social, cultural and above all relational beings—capable of rising above & beyond our biological nature to freedom & responsibility. It follows that teaching and learning, are not managerial or psychological endeavours to be known through the natural sciences. 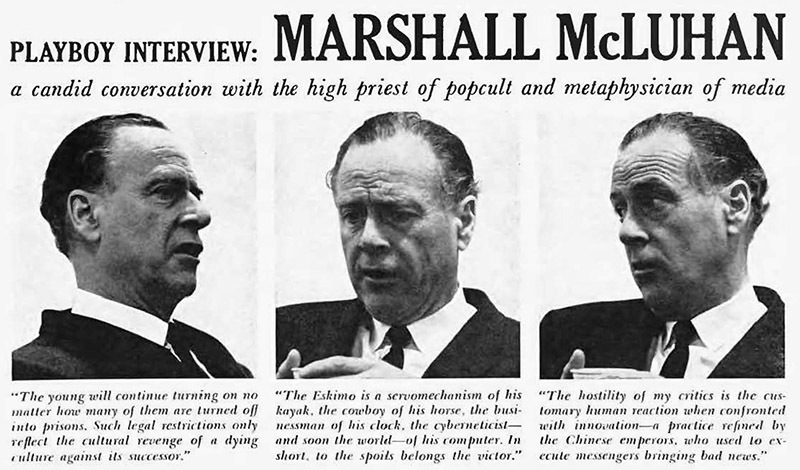 They are instead interpretive, hermeneutic and above all, ethical in nature—and are to be investigated through a science that is explicitly human. 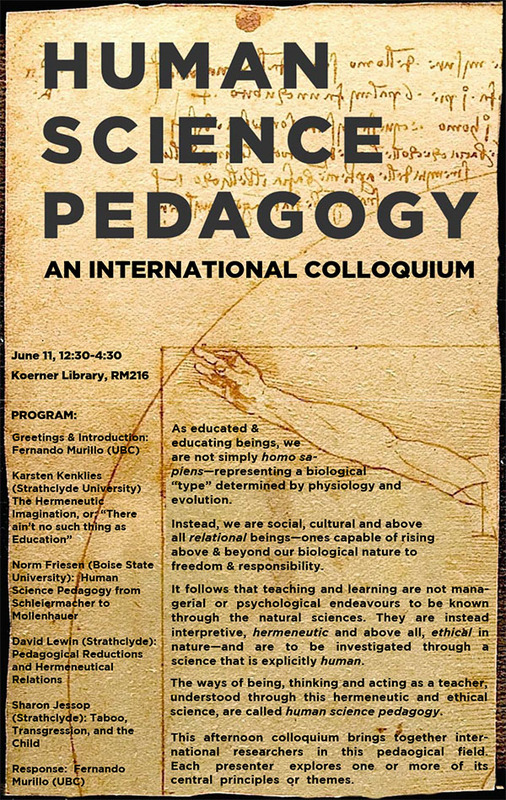 The ways of being, thinking and acting as a teacher, understood through this hermeneutic and ethical science, are called human science pedagogy. Here’s a blog post about the book just posted by the publisher, Johns Hopkins U.P. I wasn’t satisfied by the standard explanations: That we’re at the cusp of an educational revolution (we always are) or that educators are “laggards” (they work very hard). Paper introducing the “human” education of Friedrich Schleiermacher. 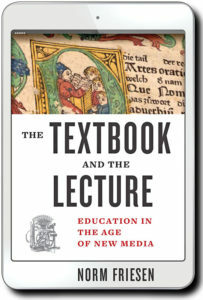 Forthcoming from Johns Hopkins University Press. Eugen Fink (1905-1975) earned his doctorate under Husserl and Heidegger and remained Husserl’s loyal assistant, even when the latter was abandoned by Heidegger and persecuted by the Nazis for being Jewish. 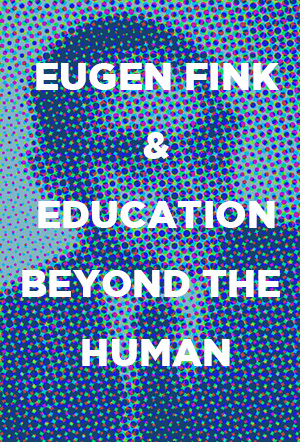 Regardless, the influence of Heidegger is much more evident in Fink’s work in education than that of Husserl. 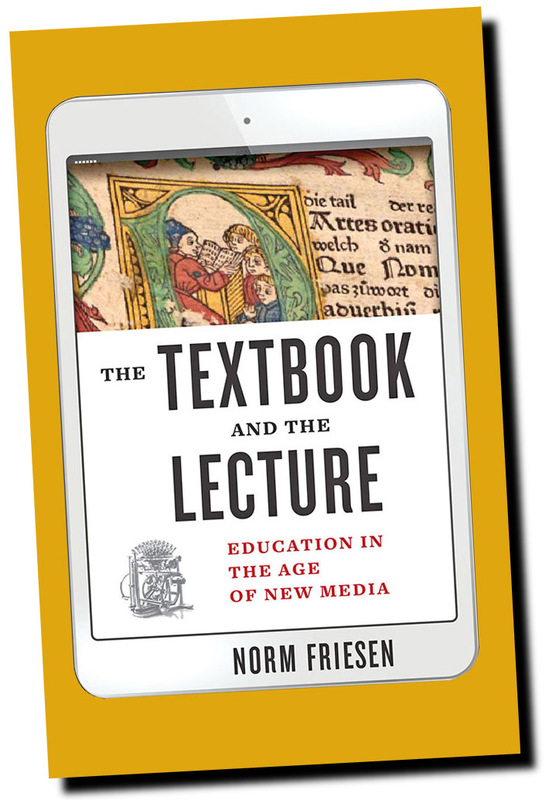 Like both Husserl and Heidegger, Fink held a chair at the Albert Ludwigs University of Freiburg—although Fink’s was in philosophy and education. 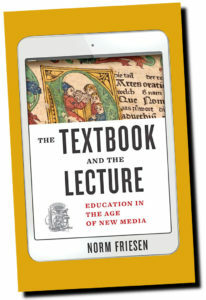 Fink saw the two disciplines as being inextricably intertwined. 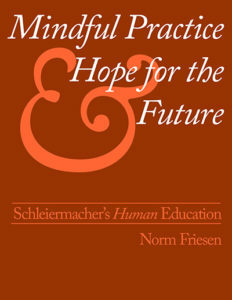 After the end of metaphysics, according to one commentator, Fink saw education not simply one of many possible topics for philosophizing; instead, he saw human becoming in its imminence as the concern par excellence for both philosophy and philosophical anthropology (Graf, 2005).